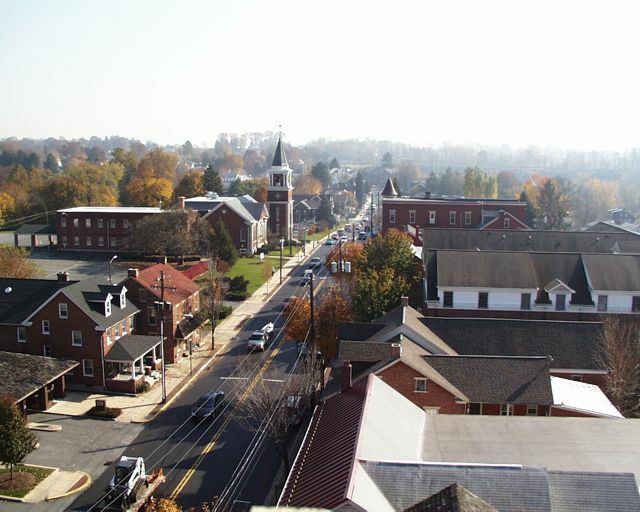 Maybe you saw the story on the real estate website movoto.com that Elizabethtown is the best place to retire in Pennsylvania. Aside from picking this picture as representative of the community as a whole (I mean, come on, seriously? ), I was excited. I'm not sure how Movoto reached its conclusion by assessing that weather, standard of living, amenities, proximity to an airport, crime rate and cost of living all translate into an awesome retirement community because I live here in part because of those things. And truth be told, I am many years away from retirement. If you want a nice analysis of why Movoto's assessment is off base, I strongly recommend picking up the Feb. 20 edition of the Elizabethtown Advocate. Editor and publisher Dan Robrish does an excellent job of picking apart the website's analysis. Ordinarily, I'd promote the list and write about it here because it puts Elizabethtown in the spotlight. The problem is that I see the community not just as a retirement destination. It's just a great place to live. Period. Whether you're retired or not. Geography -- I remember being at an Elizabethtown Chamber of Commerce banquet six or seven years ago, and the president of the chamber got a chuckle from the crowd by saying that Elizabethtown is 20 minutes from everywhere. It's true. I work in Harrisburg, and on a good day with little traffic, you can get to Second Street in downtown Harrisburg and the Capitol in 20 minutes (now, I know that during rush hour that's a whole lot different, but work with me, folks!). We are also 20 t0 25 minutes from downtown Lancaster (where I also used to work). And you can get to the east side of York and to Lebanon in about the same amount of time, not to mention Hershey's being 10 miles away. Elizabethtown College (full disclosure: my wife works for the college): higher education, concerts, speakers, events, Division III sports (though no football, which is not a complaint, just an observation) and a campus that is open to the public. I've taken advantage of all of these, and I regularly go to the track to run. Masonic Villages: I understand that you're a real estate website, and you're interest is in selling houses. So you won't mention the retirement community that 1. is a major employer in the community and 2. is an organization that does great things in the community and the world. MARS Chocolate: A Fortunte 500 company has a major production facility in the borough, which makes Dove Chocolate Bars. A factory equals jobs. And it smells like chocolate when you're out and about in town. That's reason enough to live here. Plus, it's less expensive to live here than Hershey. Borough government -- I've written about this before, but it bears saying again: I was a newspaper reporter and had the privilege of covering other boroughs over the years. Very few of them were able to take a vision and turn it into reality. Prior to my being elected, Elizabethtown Borough Council approved a master plan for the downtown area. In the past eight or nine years, the borough has been following that plan and bringing to fruition much of that, including complete renovations of the Elizabethtown train station (using $9 million in federal stimulus money) and constructing walking/bicycling paths to make the community more walkable. Because previous council members had the vision, the borough has been able to secure grant funding for projects by showing that it has specific plans and not just good ideas. A vibrant downtown -- The business atmosphere downtown has gone through cycles since I moved to Elizabethtown. Right now, it's on the positive side. New businesses have opened in recent years, such as Rooster St. Provisions, Folklore Coffee, Center Square Bakery, the Pita Pit and Andrew Douglas Jewelers, among others. The merchants also promote Second Fridays every month, staying open late on the second Friday and offering specials and deals. It's been great to head downtown and see people wandering in and out of businesses and spending money. I'd be remiss if I didn't mention the Elizabethtown Public Library, which is an anchor for the downtown and has become a community center. Ease of travel -- I mentioned the renovations of the train station above. The Amtrak stop is on the Keystone line, which runs between Harrisburg and Philadelphia. Elizabethtown sees tens of thousands of riders every year, and the numbers keep increasing. Hop on a train here, and you can be in Philadelphia in two hours, to catch a train to New York. Or you can commute to work in Harrisburg. Of course, being 10 miles away from Harrisburg International Airport makes air travel easier and more convenient (even if it can be more expensive than flying from Baltimore or Philadelphia).